One of the hottest restaurants in Chicago right now is Monteverde, Top Chef Sarah Grueneberg's West Loop Italian restaurant. The restaurant is a beautiful and buzzing place that makes you feel warm and welcome the moment you step in. 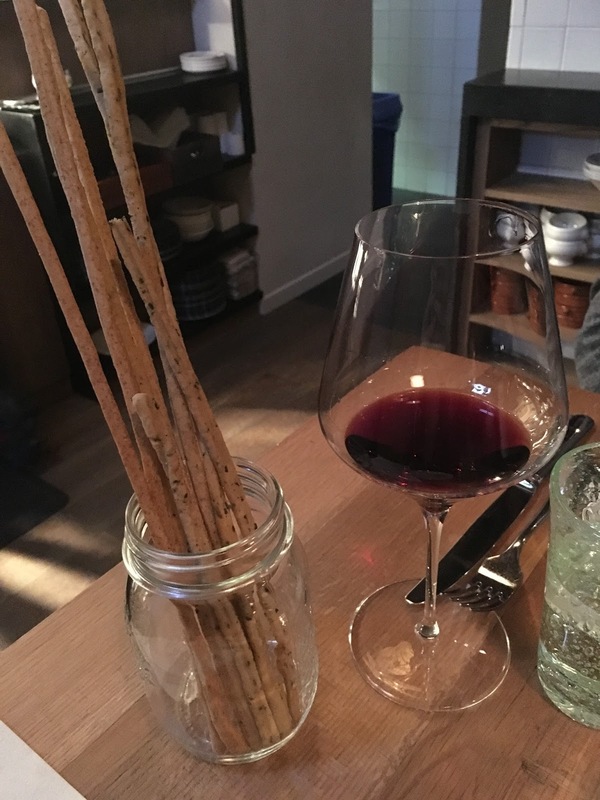 It could also be the hanging housemade pasta that makes you know you're in the right place. The BF and I stopped in for a weeknight dinner to see what all the hype was about. We were seated at a two-top right in front of the kitchen. In my opinion, it's the best table in the house because you can see all of the kitchen action and it's tucked away in a corner (it's table #201 - request it!). 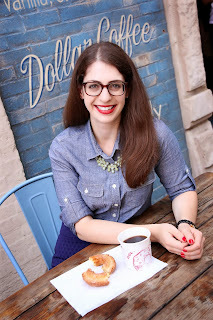 What I love about Monteverde's menu is how approachable and affordable it is. For the area and caliber of food, they could easily be charging way more than they are. Case in point: the wine list. There's something for every budget. We chose a $36 bottle of wine that was fantastic. Feeling like splurging? You can certainly do that too. While you're deciding what food to order, you're treated with housemade breadsticks. The night we dined, the varieties included rye, and olive and rosemary. Monteverde's menu is broken up into snacks, small plates, pastas, larger plates for the table, and daily specials. We started with one snack, and one small plate. The snack was the 'nduja arancini with olive oil poached tuna sauce. These little fried rice balls were incredible. The 'nduja added a little bit of a kick, while the creamy tuna sauce added a nice balance. Our small plate was the artichoke and sunchoke crostini served on toasted ciabatta. The crostini was topped with fontina and ricotta, shaved artichoke and sunchoke, and a dollop of Savini black truffle. The smell of the truffle was fantastic. This was a flavorful and light little starter. For our main course, we had a hard time deciding what we wanted, especially since we read so much about a variety of dishes. Our server was great at providing recommendations, but everything just sounded so yummy. Ultimately we decided on two pasta dishes. The first is a MUST TRY: the cacio whey pepe. 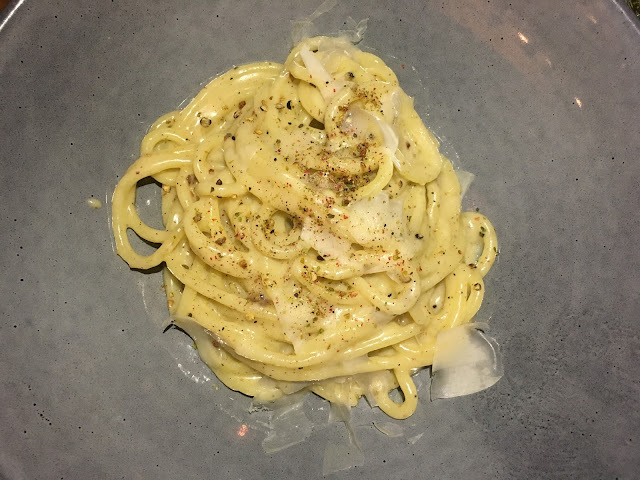 They take housemade al dente bucatini and serve it with Pecorino Romano, ricotta whey, and a four peppercorn blend. This dish is incredibly rich but you'll want to lick the plate clean. The black pepper flavor is strong but pleasant, and the sauce was velvety smooth. I know we're only a few weeks into the new year, but man, this is one of the best things I've eaten all year. Monteverde offers a section of specials that change frequently, so we decided to order our second entree from this section. 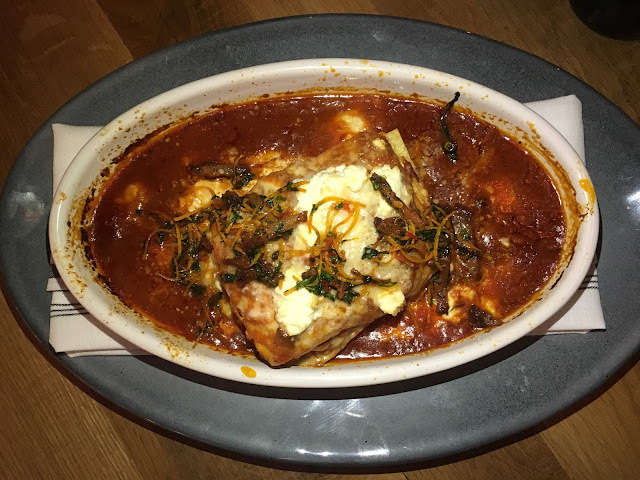 We tried the lasagna al forno with Calabrian chiles, guanciale, and housemade ricotta. First of all, the portion was huge and is definitely great for sharing. The pasta layers were very delicate and stuffed with chunks of guanciale and ricotta. The lasagna was garnished with orange rind which worked very well, offering a tangy citrus touch to the meat heavy and slightly spicy dish. Our one complaint was that the lasagna was too salty. All of that meat and cheese was undoubtedly the culprit, but it still was tasty. Some of the other dishes that caught our attention (we were seated near the kitchen after all! ), included the cannelloni saltimbocca, and the ragu alla Napoletana, which is a heaping portion of fusilli, sausage, meatballs, and pork shank! Although we were stuffed full of carbs, we pushed onward to dessert. We heard the salted butterscotch budino was a favorite, but we opted for the sbrisolona cookie sundae with sesame praline and milk and honey ice creams, caramel, and banana. The cookie was crumbled up and layered throughout the sundae, adding a nice crispy bite between layers of luscious housemade ice cream. It was the perfect portion, and a lovely way to end our meal. Monteverde recently added a dark chocolate ganache tart with candied kumquats and toasted marshmallow that looked INSANE (please try it and let me know how it is!). Our meal at Monteverde was a treat. Not only did we have an awesome table that kept us out of the loud and often cramped dining room, we had wonderful service, an extremely knowledgeable server, and fantastic and affordable food. I'm giving Monteverde 4 ghosts out of 5! Who knew Monteverde was so approachable? I'll admit I've been a little intimidated because all of the hype, but now I'm looking forward to trying it out! One of the things that I liked about this restaurant was the size of the tables and the proximity to other tables. There are so many restaurants where tables are small and one table is less than a foot to the next table, at Monteverde, the tables are big and you aren't on top of the table next to you!